In 1972, meteorologist Edward Lorenz addressed the American Association for the Advancement of Science with his theory that even the tiniest of actions can ultimately have a momentous impact. Known today as the Butterfly Effect, Lorenz hypothesized that something as simple as the flap of a tiny butterfly's wings in Brazil could set in motion a series of reactions throughout the atmosphere that could result in a tornado in Texas. Having used a computer to try and predict the weather in the early 1960s, Lorenz discovered that the outcome for a series of weather data could be drastically different, depending on where in its course it was started. He ultimately concluded that the atmosphere is unstable enough that two identical weather patterns, differing by something as insignificant as the flap of a butterfly's wings, could result in drastically different outcomes. Though such a theory would be virtually impossible to prove, his work has become an integral part of chaos theory--an idea that scientists continue to study to this day. 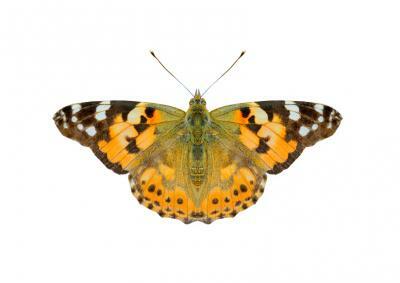 While we don't hear about many butterflies soaring around community banks, we couldn't help but think about Dodd-Frank and the chain of reactions these regulations have set off within the banking industry, particularly among community banks. As a quick recap, it has now been 1,953 days since Dodd-Frank was signed into law. As of the end of Q3, Davis Polk reports 271 rulemaking deadlines have come and gone, resulting in finalized rules for 71%, with 17% more that had rules proposed but not yet finalized. That still leaves 12% to go. Perhaps more astounding, analysis from a full 2Ys ago found 14,000 pages of regulations had already been written by that time, with an estimated 20,000 more to absorb before it is all done. If you think you have been drowning in regulations as a community banker with limited staff, the data confirms exactly what you had been thinking. As if that weren't enough, the costs of adhering to new regulations range from the need to hire in-house compliance experts, to increased reliance on external compliance experts and a massive employee time drain. In response, community banks have been re-examining product offerings and looking for areas they may need to exit given just too much regulation. One business line that many community banks have either exited, or are considering leaving, is residential mortgage lending. Here, things have become particularly arduous because of so many changes required over the past few years. Unfortunately, the simple fact here is that many community banks with limited staffing are just overwhelmed by regulations and many say they have been forced to change or alter as many as 50 of the guidelines, policies and processes they previously relied on for identifying solid loan candidates and for documenting and underwriting loans. When you combine this with fears of inadvertently violating rules, a growing number of community banks seem to be preparing to head for the exits when it comes to single family residential lending activities. If this occurs, that is bad news for everyone given community banks provide close to 16% of residential mortgage lending. Further, community banks operate in 1,200 US counties with no other bank, according to research. That is important because there are only 3,007 counties in total, so we are talking about 40% of counties that have only community banks. No matter what business lines your bank decides to continue doing or discontinue, know you play a key role in the country so whatever you do will set in motion a series of events in the industry that will reach far wider than just the local communities your bank supports every day. Treasuries unchanged amid a quiet day in the market. Economic data came in mostly as projected, with GDP revised upward and consumer spending revised downward. 1) Wilmington Savings Fund Society ($5.1B, DE) will acquire Penn Liberty Bank ($639mm, PA) for about $101mm in cash (40%) and stock (60%). 2) Bank of New Hampshire ($1.2B, NH) will acquire Community Guaranty Savings Bank ($113mm, NH) for about $12.9mm in cash or roughly 1.57x tangible book. 3) CBC National Bank ($548mm, FL) will acquire First Avenue National Bank ($118mm, FL) for an undisclosed amount. 4) Bank of New Hampshire ($1.2B, NH) will acquire Community Guaranty Savings Bank ($115mm, NH) for about $12.9mm in cash. 5) MainSource Bank ($3.3B, IN) will acquire Cheviot Savings Bank ($576mm, OH) for about $197.4mm in cash (50%) and stock (50%). Some key takeaways from the FDIC data just released (data is year over year, rounded) in aggregate: number of institutions 6,270 (-5% YOY); employees 2.04mm (-1%); loans (+4%); securities (+4%); deposits (+3%). Performance ratios and YOY change: 3.38% asset yield (-4%); 0.33% cost of funds (-8%); 3.05% NIM (-3%); 1.05% ROA (+2%); 9.33% ROE (+2%); 60.0% efficiency (-2%); 1.37% loan loss allowance (-10%) & 71% LTD (+3%). Count 4,831 (-6%); 257k employees (-5%); loans (-1%); securities (-7%); deposits (-3%). Performance ratios and YOY change: 4.14% asset yield (-1%); 0.43% cost of funds (-9%); 3.72% NIM (-0%); 0.97% ROA (+3%); 8.42% ROE (+0%); 71.8% efficiency (+0%); 1.49% loan loss allowance (-7%) & 72.6% LTD (+3%). A survey of small business owners by Capital One finds 56% of female owners say current business conditions are excellent or good vs. 44% of males. Deutsche Bank research finds IT budgets for the financial services industry break down as follows: people (26%); software (19%); telecommunications services (18%); outsourcing and hardware maintenance (16%); consulting and systems integration (9%); computer equipment (8%); and communications equipment (3%).